I was all for getting pictures done before the reception on our wedding day. I knew once the ceremony was over T and I would want to start the celebrations, and so would the rest of our bridal party. 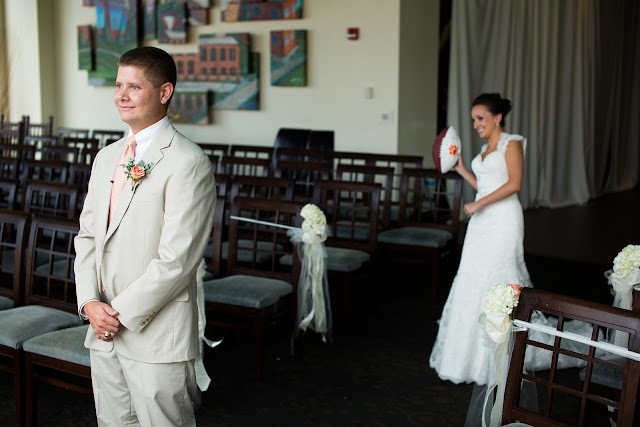 We still wanted to have a special moment with the two of us that day, so we decided to do a first look. I absolutely loved that we did this. It took away all most of the nerves I had about walking down the aisle. I wasn't nervous about the marriage itself, just having 300+ eyes on you- that scares me. T and I decided to forgo wedding gifts. While it is a great tradition, it is also an expensive one. 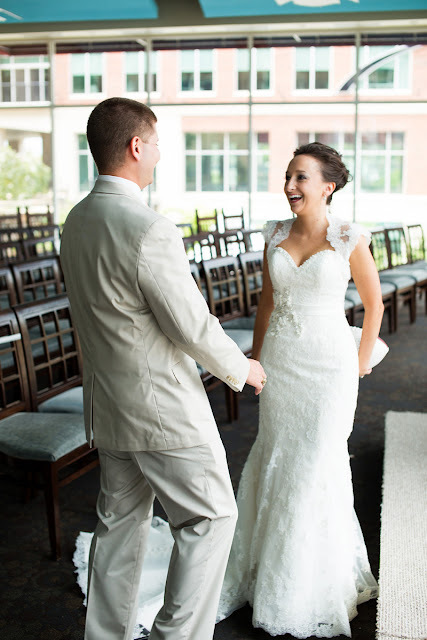 I did surprise him with a small gift though, and decided to make it a part of our first look. If you know T, then you know that he is a HUGE Clemson football fan. 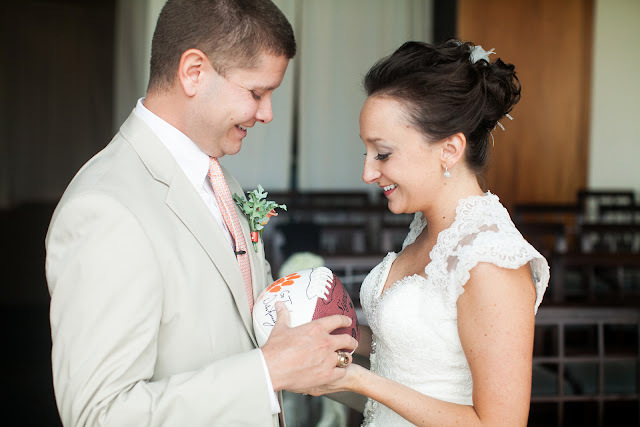 I was able to pull some strings and get him a football signed by Clemson's coach Dabo Swinney. He absolutely loved it. 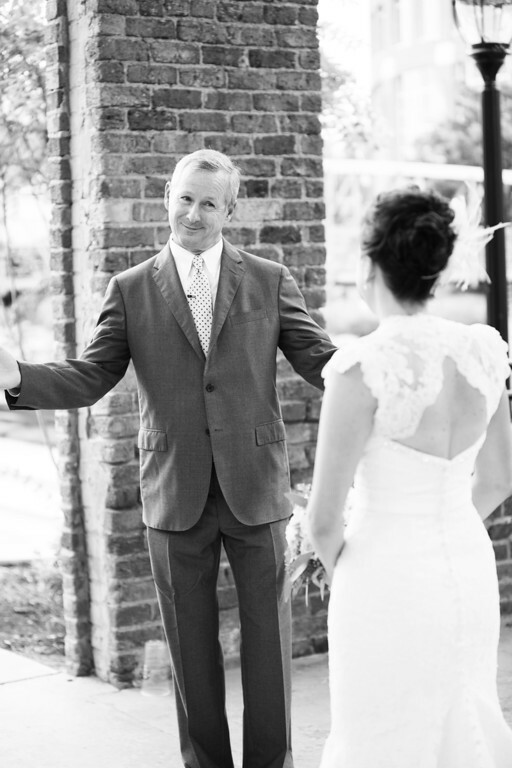 I loved that our photographer and videographer also arranged to have a first look with my dad. That moment was just as special, and I'm so glad that we have the moment captured on film! 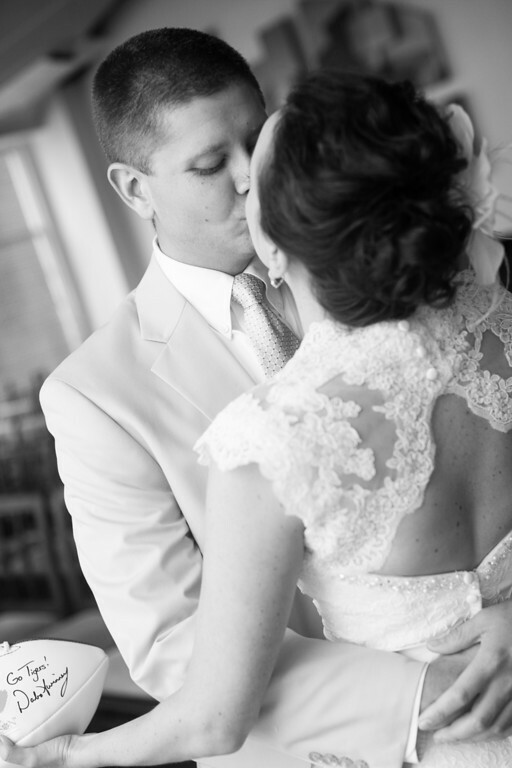 I'm loving the back of your dress--GORGEOUS! 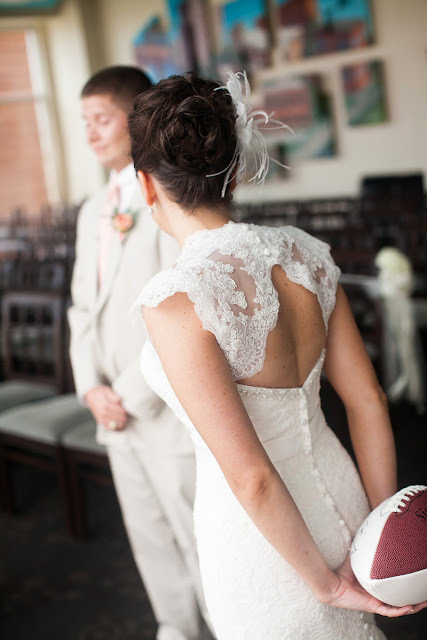 I love that you got your hubby a signed football! 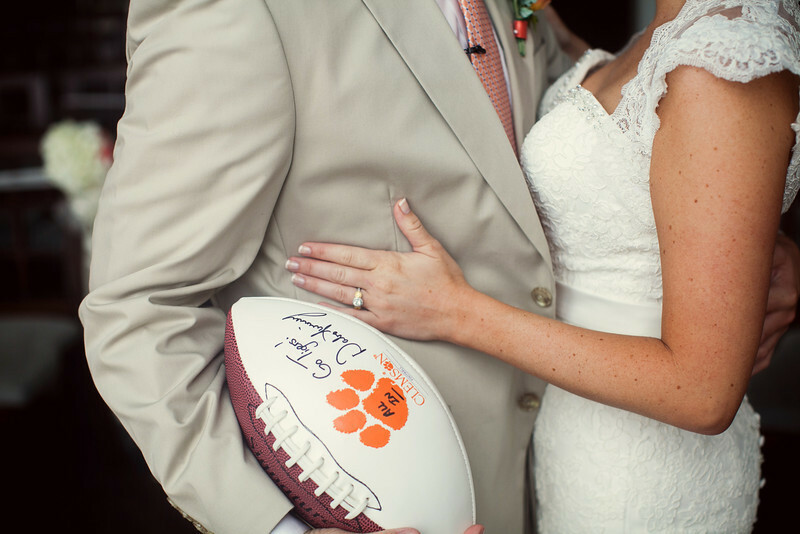 I'll look past the fact that it's from Clemson, since it's such an awesome wedding gift!